HTC Investing $300 Million into Beats Audio, Could this be the big News? All sorts of suggestions and rumors have been floating around since we first heard HTC was planning a major announcement tomorrow. We quickly heard they had something big they would reveal tomorrow morning to the masses but instead of a press release or something of that nature they are having a conference call live with HTC CEO Peter Chou. We have just heard the news might not be a special new tablet, or the next big smartphone — instead it could be that they are partnering with Beats Audio. At first I thought we might get the HTC Puccini tablet announcement, or something similar and we still don’t completely know what is coming tomorrow. A report just released by AllthingsD takes things a different direction and they are claiming the announcement could be that HTC has partnered with Beats Audio (yea like Dr. Dre) and will be bringing better audio to smartphones. This same technology is also in HP Laptops and the new HP Touchpad and now it seems that HTC wants some of the action. They are investing around $300 million into the audio company to help bring a better experience to their smartphones. Whether this is just for smartphones we dont know. Or is HTC planning a HTC aPlayer or something running on Android to compete with the iPod is another possibility. 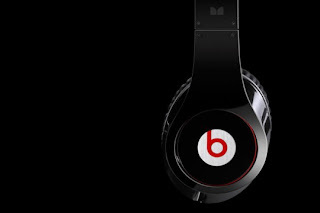 With the help of Beats Audio they might just be headed in a good direction. We don’t know if this is the huge announcement that is taking place or just another partnership that we will be hearing about in the coming days. Either way make sure you stay tuned as we will be reporting anything we see come from tomorrows announcement by HTC. I’m hoping for something bigger than Beats Audio, but that’s just me.